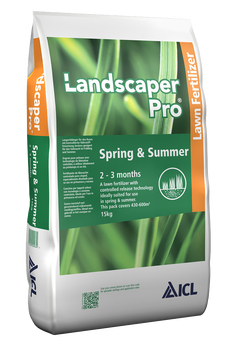 High quality controlled release fertiliser, perfectly suited for spring and summer and summer application. Landscaper Pro Spring & Summer is a high impact fertiliser with controlled release technology. The product is formulated to give a strong immediate response, combined with up to 3 months longevity. Landscaper Pro uses the same proven technology tried and trusted by groundsman and green keepers at many high profile venues throughout the UK and Ireland.